Well ‘The Door’ was something else; I cannot believe all that happened, actually I do but the end scene was just too traumatic and dramatic for me to grasp that it was in fact, something that will happen in the books, spoilers, spoilers everywhere. I liked the episode but from here on I am going to be back and forward between the books and what happened in the show, because this is just too much to hold in, and have to say it all while it is still fresh. If you read the books, then you know that the last we saw of Bran, was him all the way over there with the guy (cave of the three-eyed raven) in the tree, he got there, he was going to see things and he told Bran that he had been waiting for him, and he was shown visions from past, present, and future. 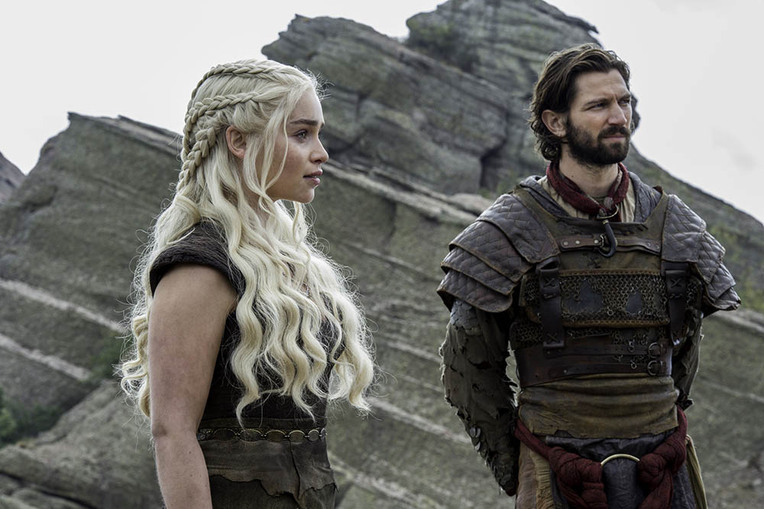 So naturally we were hooked and wanted to read more, and then something magical happened and the producers and writers of GOT, gave us the insight, we knew Bran was there seeing into the past all good, and then… the HORROR, in the newest episode Bran saw the White Walkers being created, and then went back like a undisciplined kid (alright, curious) and we were screaming at the screen for him not to do what he obviously was going to do, have a vision without supervision and he saw the Walkers and they touched him, and all hell broke, not just broke but exploded all over the place… now, why in the name of the Seven would they kill Summer? I have an answer for that or two, I’ll give it to you in a sec… and then we saw and discovered and did not want to keep on hearing to Wylis (Walder in the books) being ‘turned’ into Hodor, it was just too much, and then Meera was running with Bran in one of his “fits” and she told Hodor (actually Bran) to Hold the Door, and we suddenly knew, just knew what was going to happen, because Brandon Freaking Stark was still in the past and got to Wylis through there and then he was on the floor repeating Hold the Door over and over again just like we were, and then he held the door, and was left behind to die, to save Bran, AGAIN, that was just too much. Why would they kill Hodor? 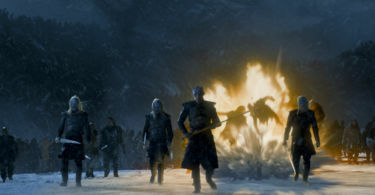 Sure, in Game of Thrones unless you see the body burn you are not certain they will not return, but he was left to die, or at least Bran who was controlling him at the moment made him stay to hold the freaking door while his body in the care of Meera went off to the old and new Gods only knew where. Alright, I got it all out of my chest, now, why did all of this happen? There is actually a pretty good explication, which is that Bran needs to have no one (Oh, yeah, and the Children died as well, how lovely… NOT), carrying on, Bran will become the next man in the Gods’ Tree or whatever, and I’m guessing here that he will be alone and why keep Hodor and Summer around, right? So maybe Meera will die as well, I am going with that theory because there is no other viable explanation for killing Summer, why would they kill all the direwolves? Come on! We only have Ghost and Nymeria left, Jon and Arya’s wolves, yes, they are the cool kids and all but still, they will probably kill Ghost next for all we know. (There are theories about the wolves being too much money on the show, but I don’t think that’s it. And there is another one that says that since the owners of the wolves betrayed House Stark they don’t deserve them, sure, but what did Rickon do?). And yeah, that is what happened, I am not going to mention the rest of the episode because to be honest nothing much happened, only a bit more of Brienne and Tormund flirtation (in his own way, lol) and some stuff with Arya; Dany set off with her army of Dothraki and told Jorah to go look for a cure, Tyrion met with some Red Lady, and so, the only interesting thing was the bit about Bran and Hodor. (Alright, other things happened but after watching that last scene everything else fails in comparison). Thanks for sticking to the end, you have won my most gracious of thanks and you can check the rest of the reviews in here, if you want or not. No biggie.